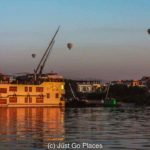 My story about the Nile Cruise I took in Egypt raised quite a few comments on the safety of visiting Egypt at this time. 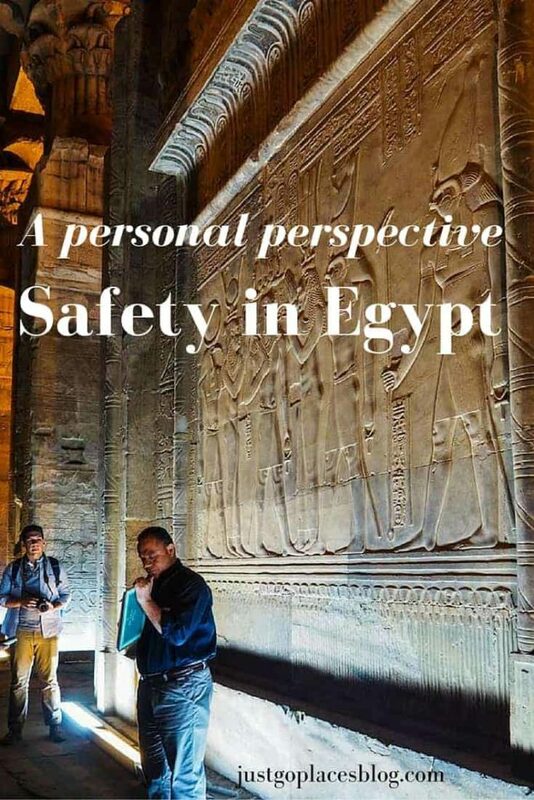 In fact, the most common question was ‘How safe is it to visit Egypt these days?” I’ve taken some time to think about the answer and here are my thoughts on safety in Egypt (and generally) in the current geopolitical climate. 1.1 What about safety in Egypt for people travelling with families? 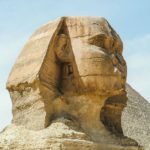 3 How Safe is it to Visit Egypt? I can only tell you that I felt safe on my Cyplon Holidays organised week that I spent in Egypt. This week comprised of flights on Egypt Air, a Nile Valley cruise on the Oberoi Philae, tours of Cairo that included visits to the Giza Pyramids and the Egyptian Museum and stay at the Cairo Marriott. All the hotels, monuments and sights we went to had metal detectors. The army presented a visible armed security presence as well. Behind the scenes at Luxor, we saw the extensive CCTV coverage of the city and surrounding area at their security centre. Although dressed as civilians, you could tell all the staff had military training. Normal people don’t stand to attention in the same way while having a simple conversation. 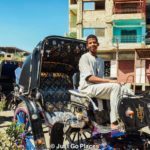 On our Cairo tours, I noticed a man sitting near the front. I assumed he was a spare driver or something. It was only when his jacket fell away that I noticed he was packing a gun. 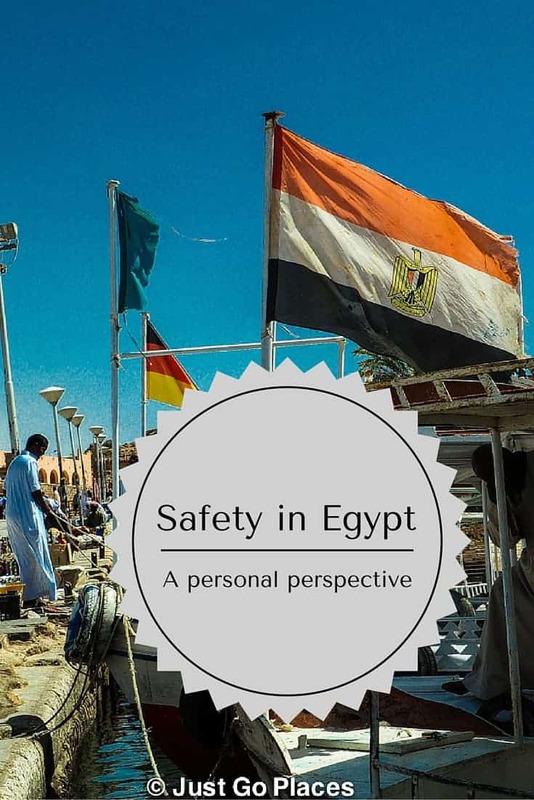 What about safety in Egypt for people travelling with families? 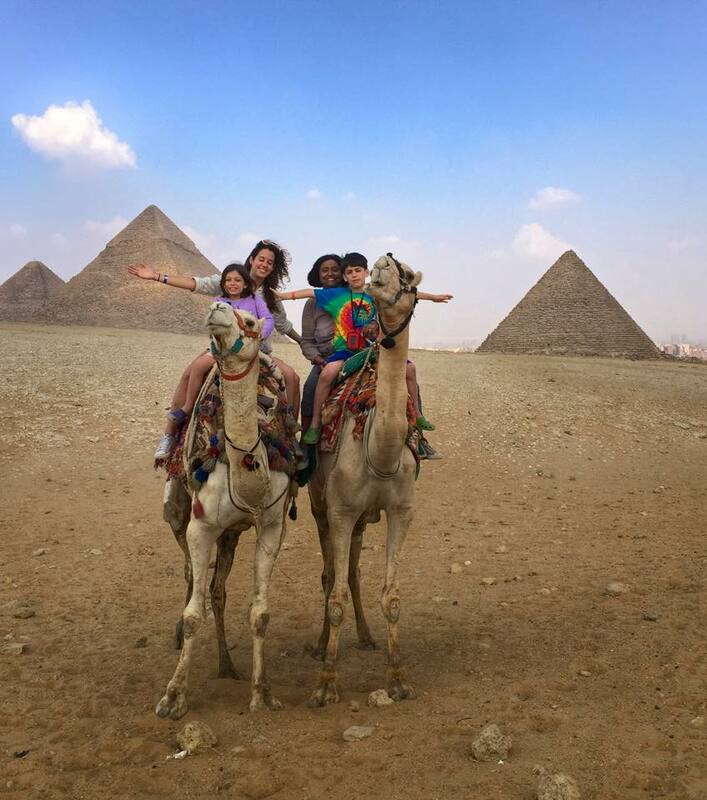 I took my family on a trip to Egypt in April of 2015 as well. We stayed at a Sharm el Sheikh resort and did the usual resort activities – hanging out at the beach, boat trips, snorkelling etc. The best part of the trip was our dolphin encounter in the Gulf of Aqaba about which my children still tell their friends. We flew an internal Egyptair flight to Cairo in order to visit the Egyptian Museum and the Pyramids. I felt safe in the spring of 2015, too, but, of course, you had the Russian plane from Sharm that blew up a few mere months later over the Sinai. Did my family and I miss death by the mere skin of our teeth? No, I don’t believe so. There were thousands of flights that took off from Sharm last year and the percentage chance of our family being on an ill-fated flight was extremely low. I went to Egypt again in 2016 despite the downing of the Russian plane in 2015. I felt a certain comfort knowing that safety would be of paramount importance to the Oberoi group as well as the Marriott. They have a reputation to maintain and world-wide standards for safety. A company with an international reputation for ultra-luxe holidays doesn’t bounce back easily from an ‘unfortunate’ incident at any of their properties. Of course, in addition, to the terrorists you have the old-school hijackers like the Egyptian man who recently diverted an internal Egyptian flight to Cyprus to see his ex-wife. The hijacker didn’t really have an explosive belt as he claimed or motives that had nothing to do with religious fundamentalism. These facts though have nothing to do with the fact that the plane was hijacked. It must have been a truly scary experience for the approximately 60 people on board (except possibly for the one Scottish guy who took a selfie with the hijacker). I do believe though that Egypt Air’s safety measures were instrumental in making sure that the hijacker didn’t really have an explosive belt. On the other hand, did you want to call the guy’s bluff when there were 60 passengers at his mercy? I think safety while travelling has changed irrevocably since the 9/11 attacks. That terrible day was the first day of work for me after my honeymoon. We had gotten married 2 weeks earlier outside of Paris. Many of our friends and family had travelled from the USA and the UK to France to help us celebrate. 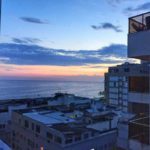 Some of the American guests had scheduled holidays post-wedding for themselves in Europe and had only just returned to the USA. Looking back, I’ve got a fairly unbelievable anecdote about our wedding. My brother, an impoverished student at business school, had bought us a very generous wedding gift. Knowing I liked a particular cutlery set from Williams-Sonoma (an upscale kitchen store in the USA), he brought them to the wedding as a gift. He was worried they would get stolen from the checked-in luggage. I’m pretty sure they were the most expensive thing he’d bought in his life up to that point. 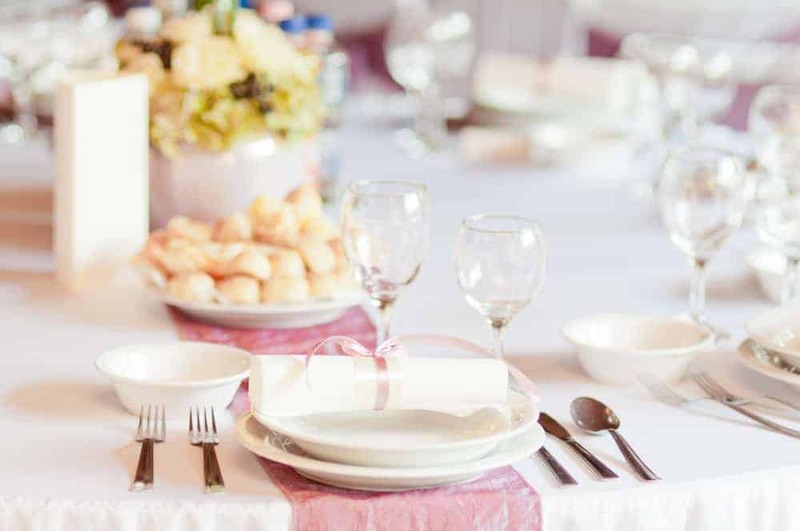 A full formal place setting (at least in the USA) involves 2 knives, 2 forks and a spoon. So, my brother brought a cutlery set to me as carry-on in his backpack – a five-piece dinner set for 12 people. So that would be 60 salad forks, 60 dinner forks, 120 dinner knives and 60 soup spoons (plus the accompany hostess set of servers, cake slicer etc.). Yes, all that passed through the metal detector scan on his Virgin Atlantic flight without a comment. Gone are those days, and probably for the best. I will not deny that there is an element of Russian roulette every time that you travel nowadays. Will it stop me from travelling? No. Will I take unnecessary risks? No. I’m neither stupid nor have a death wish. Ordinary people carry on with their lives despite the raging geopolitical storm in the area. On the other hand, I find it less than useful when the American state department issues a blanket travel alert for Europe which lasts for four months. As much as the British hate to admit they are part of Europe, you can’t change geography. At least, not until the next Ice Age. I live in London which is probably a high alert city considering the world views Britain as America’s Best Little Buddy. In fact, I live about 1-2 miles away from a whole lot of potential targets – the American School in London, the London Central Mosque, the American Ambassador’s residence, the home of the Chief Rabbi of the United Kingdom etc. Moving isn’t an option for us because our lives are established here in our neck of the woods in London. So back to the question: how safe is it to visit Egypt? Risk assessment is an individual concept measured by the person involved and the situation at hand at the time the decision is made. My concept of risk is different from that of my brother who lives in the tranquility of the Pennsylvania suburbs. You should carry on with your lives. The times they are a changing and there’s nothing we can do about it. Hiding from the world certainly isn’t the answer for me. Other family travellers have agreed with me that you can have safe trip to Egypt. 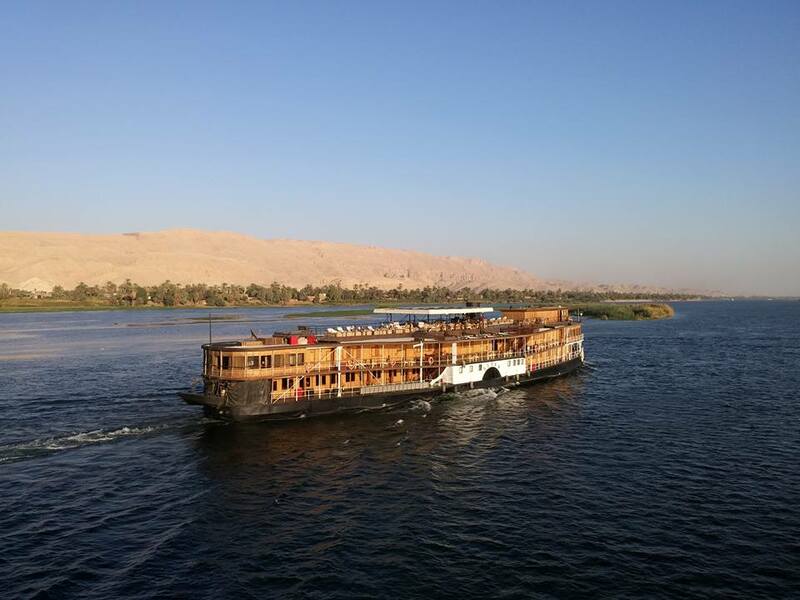 I found a certain serenity in Egypt, and specifically the Nile River. Did you know that in the last 2500 years, Egypt has been invaded 27 times? Over the years, the country has seen the likes of Alexander the Great, the Romans, the Ottomans and the French. Life along the river though has carried on much the same as it has for hundreds of years. It impressed me so much I wrote a Steller story on it. 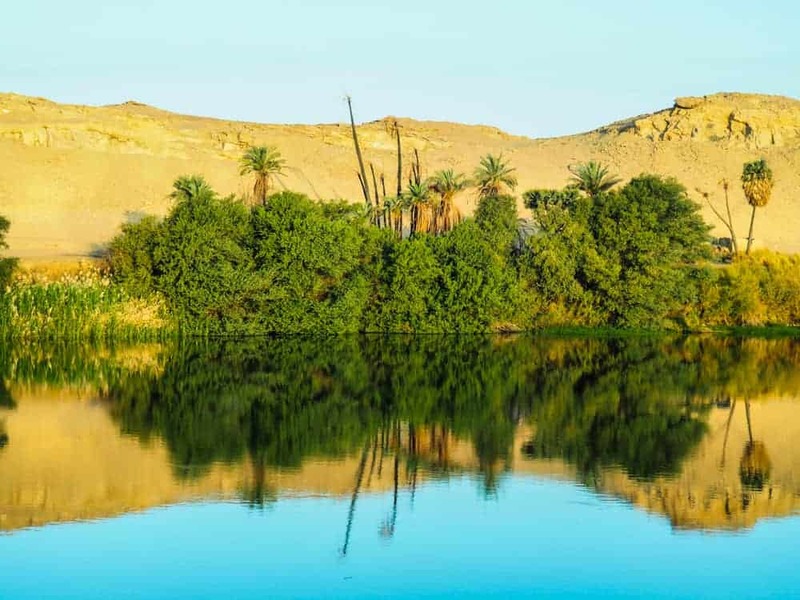 A reflection perfectly formed on the stillness of the Nile River. 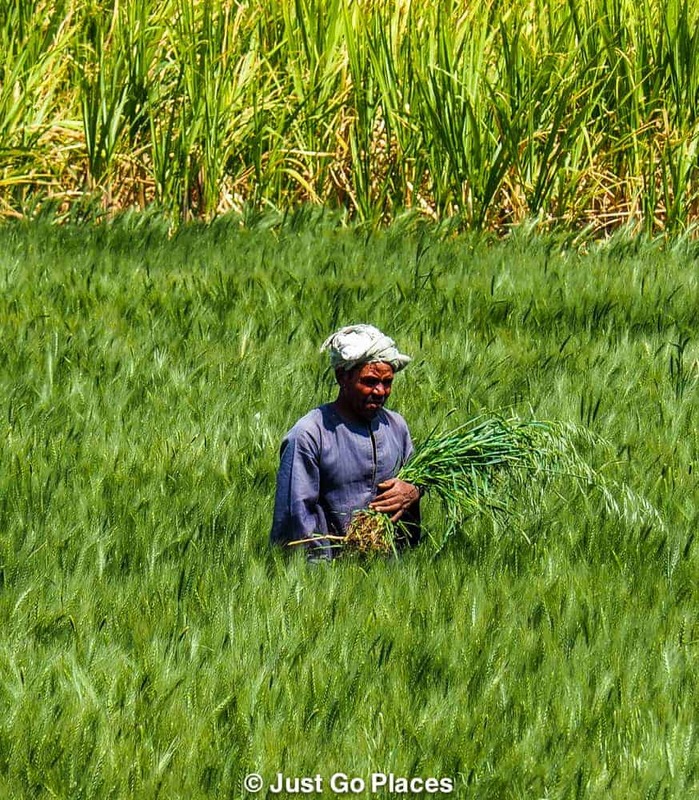 Egypt and the Nile will survive this round of extremism on their shores. They aren’t going anywhere – are you? 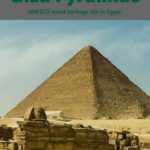 Although I went to Egypt in 2016 as a guest of Cyplon Holidays, this has not influenced my thoughts and opinions in this post. What a sweet brother you have and what a thoughtful gift! Yes, gone are those days. He is. I’m sure some sales person convinced him that married people have formal sit down dinners for 12 people in a regular basis like on Martha Stewart. I completely agree that the odds are in your favour that a travel experience has very little chance of encountering something devastating. Fear is a hard pill to swallow of many people and the media doesn’t help. I’ll admit that even my views were swayed on Egyptian travel with my family over the last two years. Fair enough. It’s hard when the media goes on and on about something. It’s hard to remember that they are in the business of selling and biting doesn’t sell. but where else can get your information?!? That must have been quite an experience! Interesting that you can compare your own experience against what someone thought your experience was. How cute of your brother! A very interesting take reg. travel to Egypt, well done! We follow a professional photographer on Instagram who mentioned his camera gear were confiscated at Cairo airport, as they feared him that he would show ugly side of this country. Of course he got everything back before his return flight. Not sure if you came across such incidents? No I had no problem with my camera gear. They really didn’t like you taking photos of the police or security measures though. I love this…I actually was just talking with someone about travel to Egypt the other day and asked how safe it was. This is really helpful and I’m glad to hear from someone who’s just been there! Your post makes me reconsider going to Egypt. While I am usually not scared to travel at all, there are certain destinations that I have been feeling uncertain about lately, Egypt being one of them. But it still sounds so stunning and I really want to experience the history and the wonders of this country, so I will put it back on the list after reading this. Lol. He’s married with kids now. I’m sure he’s got his own cutlery set! A lot of countries have gotten swept up in the mess – Jordan Egypt are two I can think of where regional politics have really hurt their tourism. Thank you. It used to be so much easier when travel alerts weren’t so all encompassing. Anything can happen anywhere in this modern day, and when you look at the statistics there really haven’t been many terrorist related deaths in Egypt this year. I’m sure there’s far more from backpackers gone wild in Asia! It’s just the media overhyping things. I live in London too, and I can’t deny that I do get a bit nervous at times when these things happen – but you can’t let these things stop you from living your life. The chances of being caught up in something are minute. It’s probably more dangerous to cross your own road! Egypt looks beautiful, and I’d love to go again sometime soon! Love this article. What a great overview of your experiences and personal experiences. Has made me think about making a visit! I was in Egypt when the Russian plane went down. A few days later, I flew out of Cairo on KLM. There was not really a heightened security presence that I could tell. I’ve been through that airport several times over the years so I do watch for that. A few days after I left, when they decided that it was a bomb that brought down the plane, KLM got really fussy about luggage. Glad I was able to leave before that happened but I totally understand why they got nervous about that. At least I wasn’t one of the passengers in Sharm that had to wait to be evacuated. I went to Egypt a few months after the revolution. Sometimes I think I was crazy to do that as I could tell there was a difference. But I did get the opportunity to talk to Egyptians about how they were feeling about the situation. Overall, I think Egyptians are feeling better about the political situation but they do need tourists to come back. They depend so much on tourist dollars. I know that a lot more of my friends from the U.S. are going now so it is all perspective. One just returned from a guided tour that was well looked after. She was ecstatic about the experience and is planning another tour for next year. The odds that anything will happen are so small. It was just a weird feeling to hear about the plane crash in Sharm and I was so close as we had driven over to a resort area about 2 hours or so from Cairo. I am already wondering when I should make my next trip . . . I like November and February for travel months to Egypt. Catherine recently posted…Colorful khamsa project . . . I too am wondering when I can get back. This country does seem to get into your blood! I love Egypt. I’ve visited the country a few times and never had any problem. They can be a little insistent sometimes, like trying to sell tours, jewellery, etc all the time.. but besides that, I think it’s not that bas as most people think. yes, they have a cultural affinity for haggling as do many other countries. Very different from what I’m used to when I say no, it’s not an opening for a longer discussion!! This was an excellent post to read and an excellent insight! The pictures you provided are simply stunning! How many days would you recommend staying there? It depends on what you want to do. 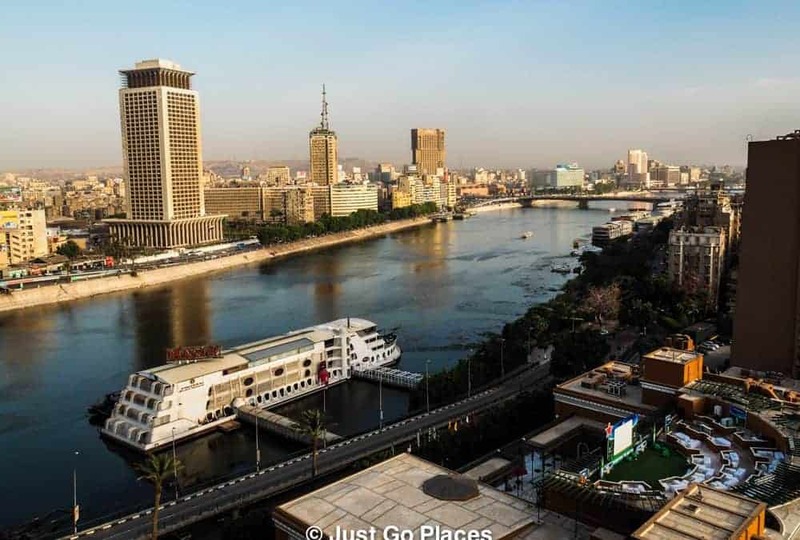 The Nile cruise is usually 3-5 days depending on where you stop, Cairo should be 2-3 days and the beach portion is however you would like. We spent a whole week just relaxing by the pool and beach.